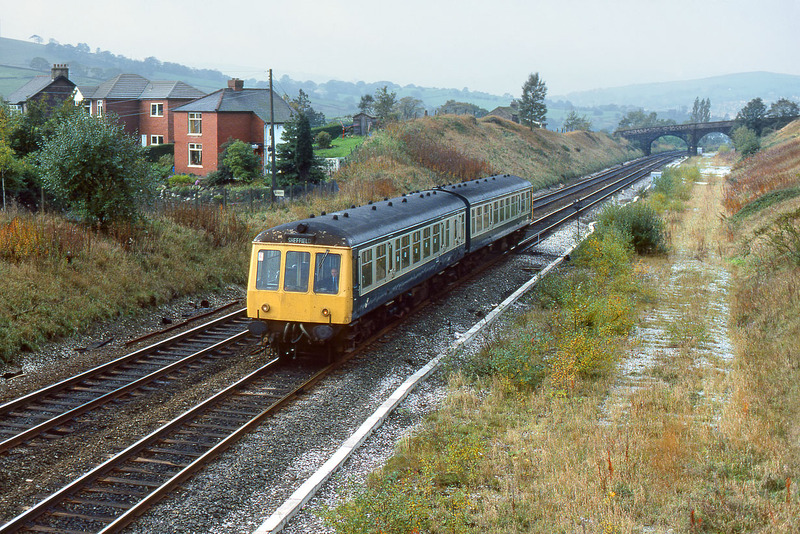 53024 & 54019 approach Chinley on 20 October 1983 with the 10:42 New Mills Central to Sheffield service. This view clearly shows the result of track rationalisation, with the former quadruple track having been reduced to two a few years earlier. Midway to the bridge in the background, on the now lifted lines, is where 40044 came to grief whilst hauling a stone train in 1978.